Darling all-brick bungalow with updated kitchen, bath and flooring. There's so much to love about this house...don't forget to go upstairs and see the finished attic bedroom with large closet! The Living Room and Dining Room have a newer wood floor that is modern and beautiful, and the bathroom makes use of every inch of space with gorgeous white tile throughout. Entire home was rewired in 2014. Located on a nice shaded lot with plenty of room to garden, build a shed, or play a game outside! 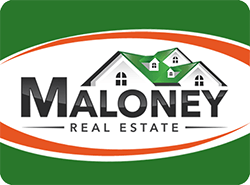 Listing courtesy of Maloney Real Estate. "A New Level of Service"